Whether it’s a holiday meal, you’re planning a dinner party, or you’re simply cooking a weeknight dinner for your family, prepping ahead of time helps keep you stress-free. 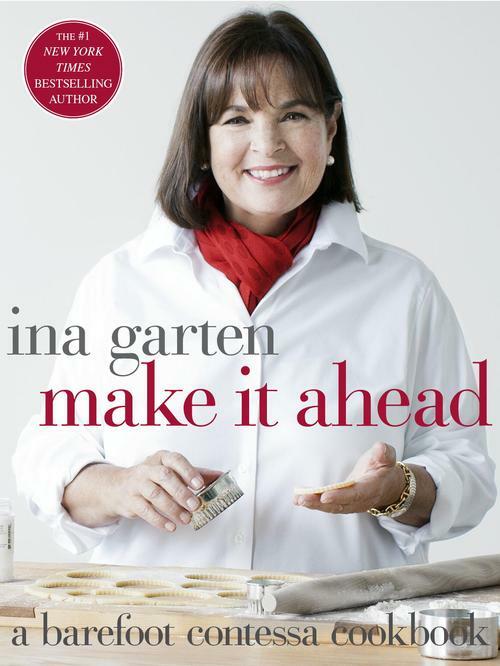 Ina Garten, the Barefoot Contessa, solves the problem of hectic cooking in her newest book Make It Ahead. Each delicious recipe has clear instructions for what can be done ahead of time (and how far in advance), thus eliminating the guesswork and last-minute stress. The book is also filled with hundreds of invaluable make-ahead tips and gorgeous mouthwatering photography. It’s the perfect cookbook for any time (or occasion) of the year, but especially during the holiday season. This holiday season we’ll be making her Truffled Chicken Liver Mousse (page 32), her festive Cranberry Martinis (make them at least 2 days before so that the flavors infuse and deepen, page 27), and serving her French Green Bean Salad with Warm Goat Cheese (recipe and excerpt below, pages 72-73) at our Christmas dinner. Notes: French string beans are also called haricots verts. I use Athens phyllo dough. until you have 4 sheets of phyllo stacked up. Cut the phyllo in half crosswise to make two (7 × 8½-inch) rectangles. Bring a large pot of salted water to a boil and add the string beans. Simmer for exactly 3 minutes, until crisp-tender. Drain immediately and immerse the beans in ice water to stop the cooking. For the vinaigrette, whisk together the olive oil, vinegar, mustard, shallots, 1 teaspoon salt, and ½ teaspoon pepper. Stir in the dill and set aside. 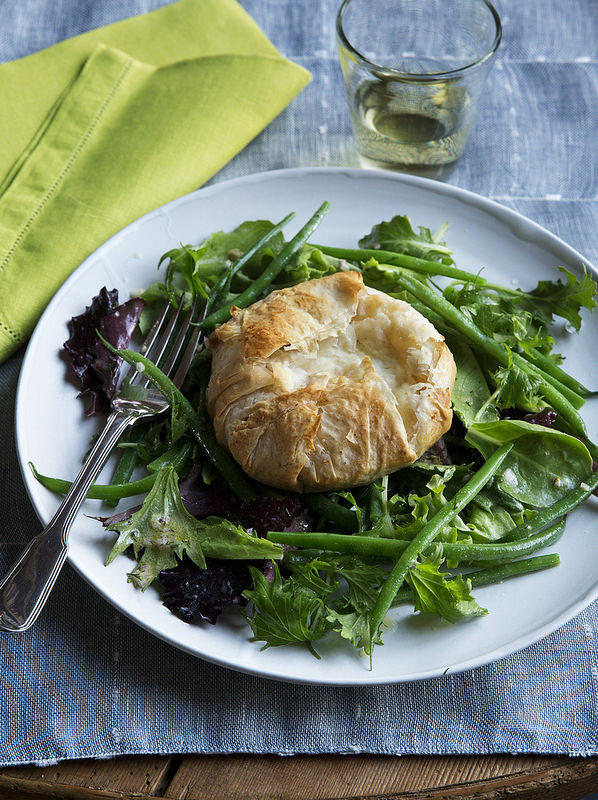 Assemble the goat cheese packages, cook the beans, and prepare the salad and vinaigrette; refrigerate separately for up to 2 days. Editorial disclosure: Foodista bought this cookbook and received no compensation for this post.